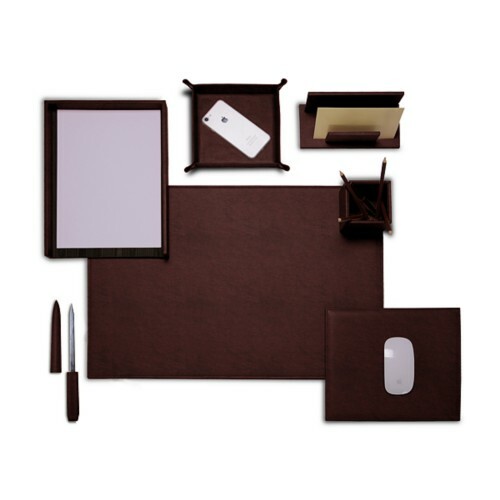 The range of leather desk sets proposed by LUCRIN puts forward an impressive catalogue of office products’ combinations. 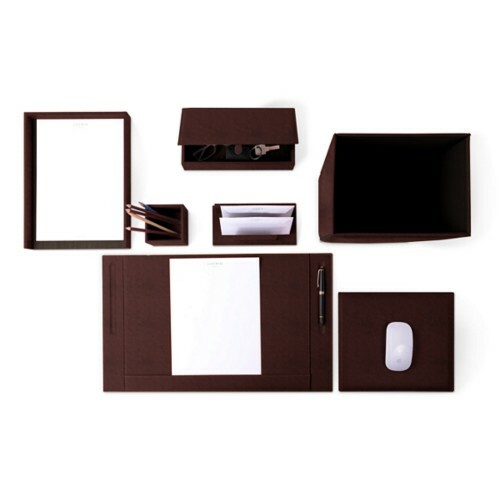 In so doing, we are offering you the opportunity to find the office accessories that you need, conceived by our finest leather artisans. 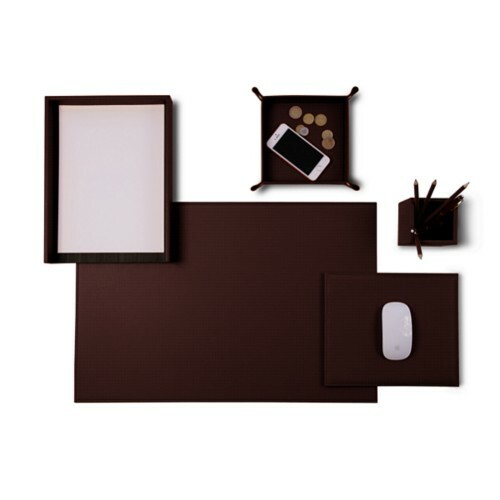 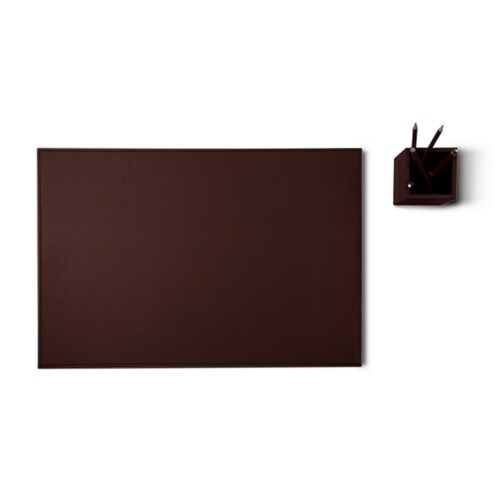 Made with authentic leather and in a unique palette of colors, you will definitely add a distinct touch of class to your office décor. 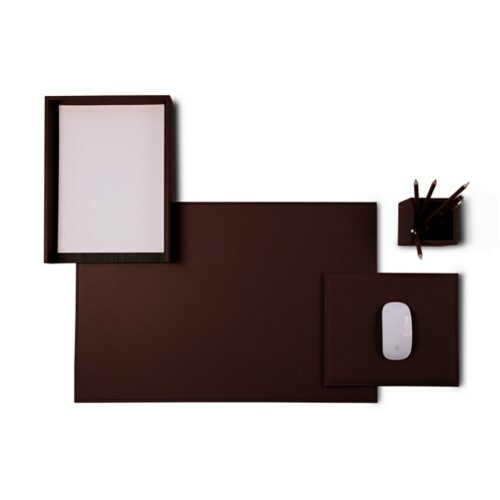 The desk sets come in several styles and designs: round, classic, square, soft, inter alia. 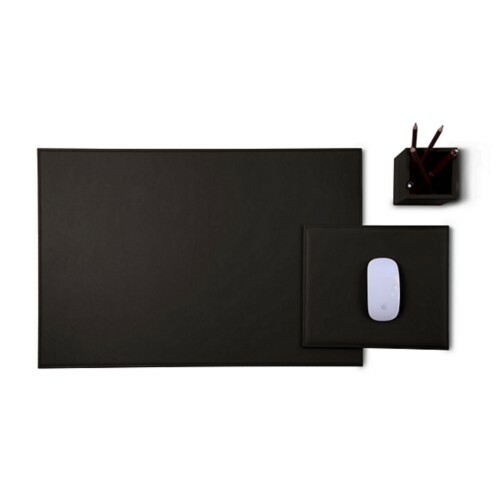 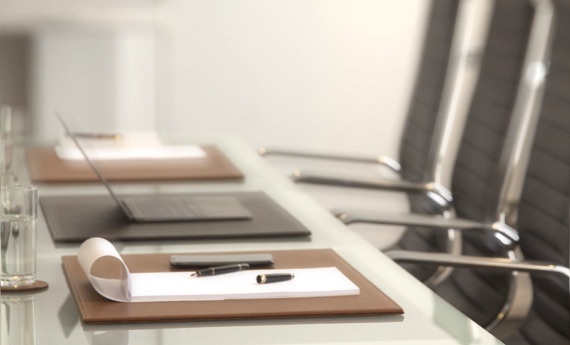 Our leather office sets are also well coveted among professionals who use them in conference or meeting rooms. They can even be customized, for example, with the logo of the company.